Preheat oven to 350° F. Lightly grease an 8x8x2” baking pan. In a medium size bowl, stir together the melted butter, truffle brownie mix, and eggs until just blended. Gently stir in the pumpkin spice morsels and spread batter in pan. Bake for 25-30 minutes. Remove pan from oven and sprinkle with Halloween candy sprinkles. Allow to cool for 30 minutes before removing from pan. 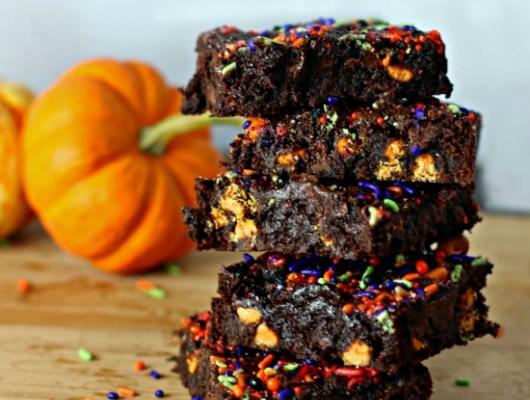 These 4 ingredient Pumpkin Chocolate Chip Brownies are the moistest, most incredibly rich and gooey, best chocolaty brownies with pumpkin chocolate chips you will ever make! 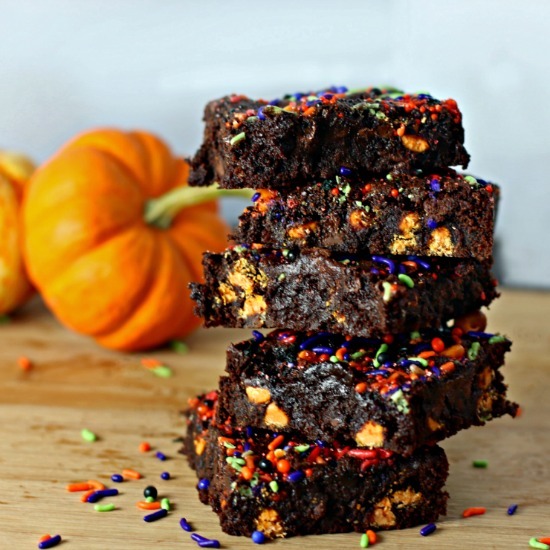 Fun Halloween Dessert!